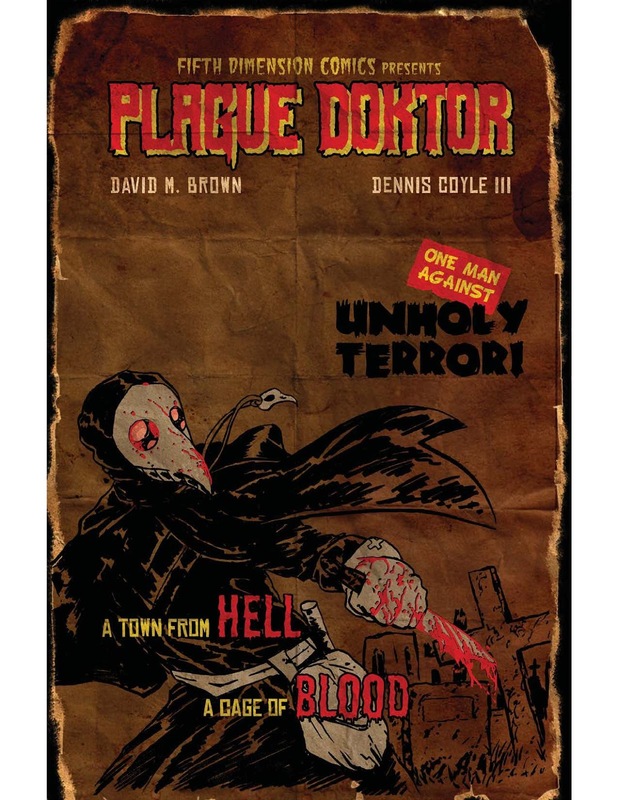 The Fellowship was fortunate enough to obtain a copy of PLAGUE DOKTOR from Fifth Dimension Comics. David M. Brown writes and Dennis Coyle III draws. The Black Plague ravaged Europe in the 14th century, killing at least a quarter of the population. A few brave souls tried to help with what little medical skills existed in that time. These were known as Plague Doktors, and our protagonist, Nils, was one. Nils thinks he knows the cause of the plague, and he’s trying to chase down the source, who is disguised as a plague doktor himself. But Nils’ story is much darker than even the Dark Ages, and the source is connected to Nils in ways he can’t yet imagine. Nils has a destiny that he’s desperate to escape, a story with layers of horror, both natural and supernatural, lying beneath. His is a journey that takes him a long way from his beginnings (no spoilers here, though). The visual style of the book is impressive in its detail, showing us the horror of reality as well as the allure of the unreal with striking imagery. This is a very personal story with a very wide-ranging scope, which turns out to not be as contradictory as it may seem. (And these guys are really good at handling their Kickstarter campaigns.) I highly recommend this book. 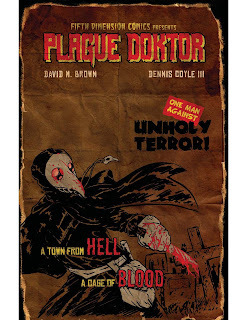 PLAGUE DOKTOR is available now on Kickstarter, or online at the Fifth Dimension Comics website.